Under most vehicles, there are various chassis, engine, and exhaust components which have functions, but they aren't very aerodynamic. Because of this, many motorsport vehicles have an underbody, which keeps the underside of the car aerodynamic. In addition, they are often higher off the ground towards the back of the vehicle, which creates a low pressure area under the car while it is moving forward at a high enough speed. That low pressure zone helps create downforce, which improves handling. 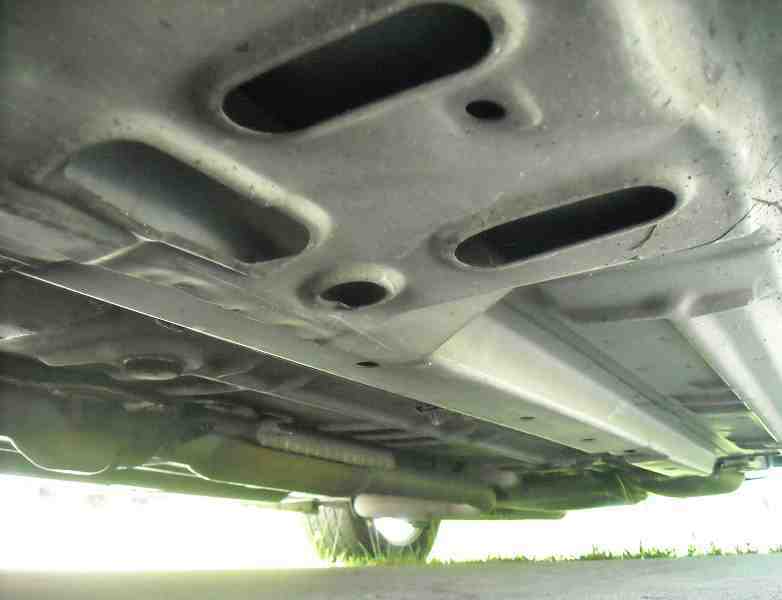 Full underbodies aren't usually found on production cars, because the average driver spends most of their time under 65 MPH, and the underbody would mostly just act as added weight, showing no benefit to the driver. Many underbody designs have fins at the rear. These keep the air flowing straight, which resists undesired sideways sliding of tires around high-speed turns. Some direct air away from the wheel wells, or pull air out of them. Some also seperate sections so different areas can have different pressure levels.